A Blue Rose Double Ended Spray using choice foliage with some filler flowers. We can customise this item if you want anything extra feel free to email us. 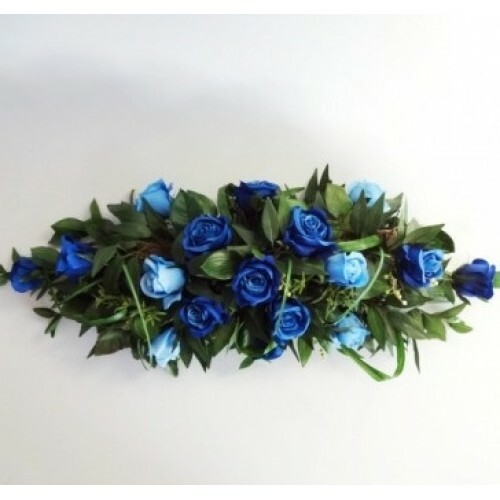 This item includes 16 Blue Roses. end to end its 85cm long. We can make it smaller or longer if you wish. We can adjust this to a teardrop spray also. Expertly arranged into floral foam for freshness. Suitable as a table display at a wedding or as a tribute at a funeral.